You can all breathe a bit sigh of relief as I am not starting this WIR with a big rant about how I haven't read very much. 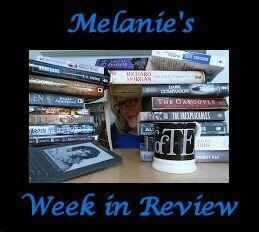 I did better this week but not great - only 2 books and one of them I had already started. I am also typing this on my super old laptop which doesn't like my space bar so if you findanyrunonsentencesyouwillknowthatithascompletelystoppedworking! Anyway, enough of that. What did I read? 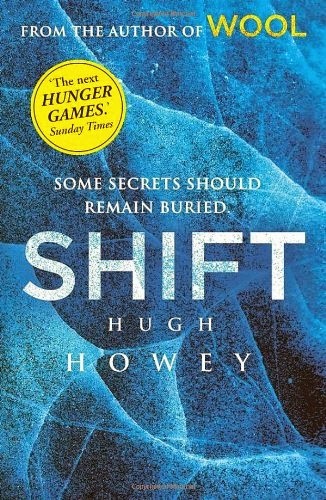 Taaaa Daaaaaaa.....I finished Shift by Hugh Howey! What an amazing book. I loved Wool and it can be really hard for the author to write an equally compelling book 2 but Howey did it. According to my husband book 3 - Dust is as good as books 1 and 2 so I am excited about tucking into it. I needed a break so will be reading that over the next few weeks. Shift is the prequel to Wool which explains how and why the remains of humanity have been living in silos for last few hundred years. The story is told largely from the viewpoint of David, one of the architects of the silos. David finds himself alone and out of time as he starts to remember how and why he has ended up in silo 1. We start to see how the events in the other silos start to unfurl. It is a compelling read from start to finish. In fact its Howey's innate ability to tell a story that keeps you engaged over 600 + pages. Every time I thought I it was taking too long to get to the end Howey would throw in some twist or reveal a big secret from book 1. I can't say too much without giving away the whole plot other than run quickly to your local book store or computer and get buying it (and Wool if you haven't read it yet). I decided to stick with a science fiction theme, although for those that read my reviews will know that I like watching it more than I like reading it. I started to read a book that the Qwill sent me - Fallout by James K. Decker. 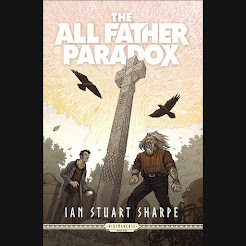 This was book 2 of the series and I couldn't really connect with the characters. I wasn't sure if this was due to the fact I hadn't read book 1 or I just didn't like the characters. I decided rather than give up completely I put this book to one side and will try again in a few weeks. I then needed something I could read in a few days. For those of you who follow my reviews will know that I am a big fan of Ilona Andrews. I have been reading her free serial Sweep in Peace and found a posting on her blog where she recommended Fortune's Pawn by Rachel Bach. This book was compared by one reviewer (according to Andrews) as Kate Daniels with aliens and armor. I don't agree with that comparison. I think it is much more similar to Tanya Huff's Confederation series than the Kate Daniels series. 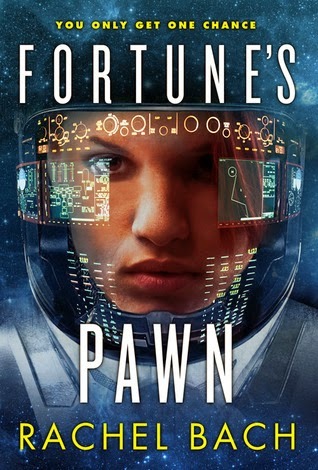 Fortune's Pawn is book 1 in the Paradox series and features Devi Morris who is a mercenary looking to fast track her way to becoming a super soldier - a Devastator - by serving a year on the ill-fated ship The Glorious Fool. 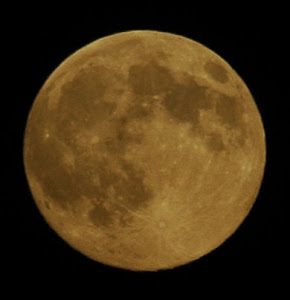 Nothing or no one is what they seem on the 'The Fool' and her life expectancy on board may be much shorter than a year. Big guns, aliens and one double cross after another is what is in store for Devi. I was a bit dubious at first as to whether I was going to like Fortune's Pawn. I really liked the The Confederation series and I thought it started out being too similar. After a few chapters I realised it was very different and Devi was quite a compelling character. I loved how she loved her armor and guns. At one point she had to hold herself back from hugging her guns like lost children which I thought was quite amusing. I was constantly trying to figure out who the bad guy was as at several points it seemed like the good guy was actually the bad guy. The plot really kept both me and Devi and our toes which I really liked. 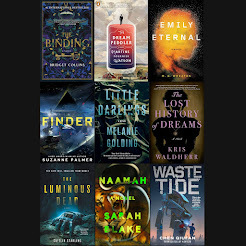 If you are a big sci fi fan then I think this is the series for you. I have already started to read Honor's Knight which is book number 2 and really liking it. I think I will be 3 for 3 by my next WIR! By this time next week I will be in Canada visiting my Mom for a week or so. I don't think I will be writing my next WIR with back bacon and poutine on my fingers but you never know! Until then Happy Reading!